Get full traceability of your stock. Use stock transactions to record the movement of stock levels in and out of your business. Bought new stock or has some been lost? Use stock transactions to log these and keep your stock levels up-to-date. As well as manually adding transactions to adjust your stock, some transactions are created automatically by Current RMS when you add stock or use the quarantine. Stock transactions are held against stock levels. To view and manage your stock transactions, open a product page, find a stock level under the Stock Levels heading, and click on the asset number of bulk stock level in the list. On the next screen at the top, you’ll see a list of stock transactions for this item. A system generated type created when stock is added to Current initially. Lost stock has been found. Stock damaged beyond repair, lost, or otherwise no longer available for rental or sale. New stock is made, useful for businesses who deal in bespoke items. A system generated type created when stock is moved from one store to another store. A system generated type created when stock is added to one store from another store. When stock levels are added an “opening balance” transaction is created with the name of the user who created the stock level. When stock is written off from the quarantine, a “write off” stock transaction is created with the quarantine job as the source. When stock is transferred between stores, “transfer out” and “transfer in” transactions are created with details of the store. 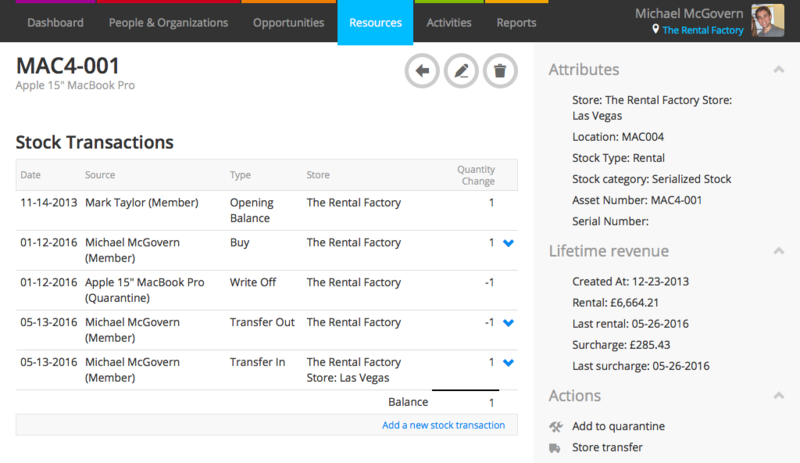 If you need to manually adjust your stock levels, you can add stock transactions – great for doing a stock take. Add a stock transaction from the stock level page by using the add a new stock transaction link. When adding transactions for a rental serialized asset, the transaction must have a date when the asset was held at the current store. For example, if you find that you’ve damaged 10 units of a bulk stock product during a stock take, you’d add a stock transaction with the type “write off” and a quantity of 10. Hit the blue create stock transaction button to add transaction. When created, your stock transaction will show up on in the stock transactions table. Take care when adding stock transactions to serialized stock levels. 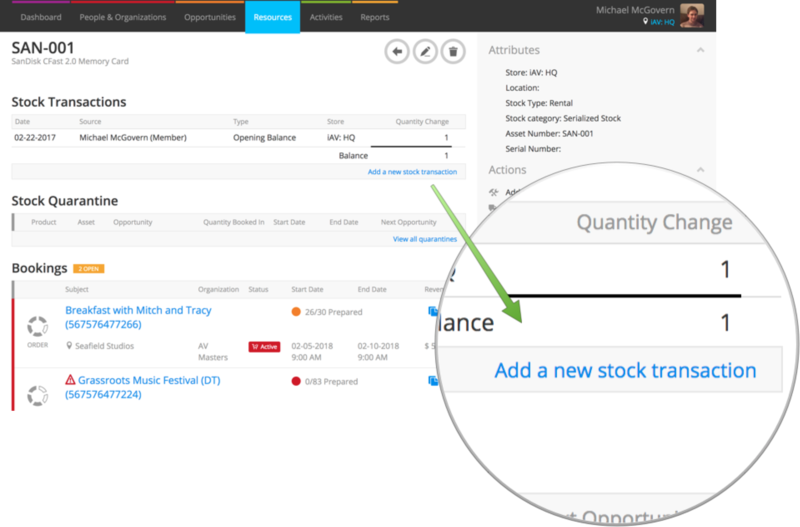 Current will allow you to add a balance of more than 1 to a serialized stock level, which may affect your availability. Stock transactions that have been added manually can be edited or removed using the blue arrow to the right of the transaction in the list. Edit to change the type, date, and description. Use the delete option to remove the transaction.